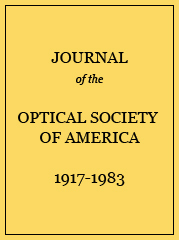 a J. W. T. Walsh, Photometry (London, 1926). b C. Fabry, Introduction Génerale à la Photométrie (Paris, 1927). c Lax and Pirani, Lichttechnik (in Geiger and Scheel, Handbuch der Physik) (Springer, 1928), Vol. 19, p. 331.
d H. H. Higbie, Lighting Calculations (Wiley, 1934). e W. E. Forsythe, Measurement of Radiant Energy (McGraw-Hill, 1937). f N. G. Boldyreff, Theoretical Photometry (in Russian) (Leningrad, 1938). Proposed international names of concepts. Names of units recognized by the C.I.E. * Resolution of Comité International des Poids et Mesures (Paris, 1937). See also, International Lighting Vocabulary (C. I. E.) (Teddington, England, 1938). Recommended radiometric and photometric units.